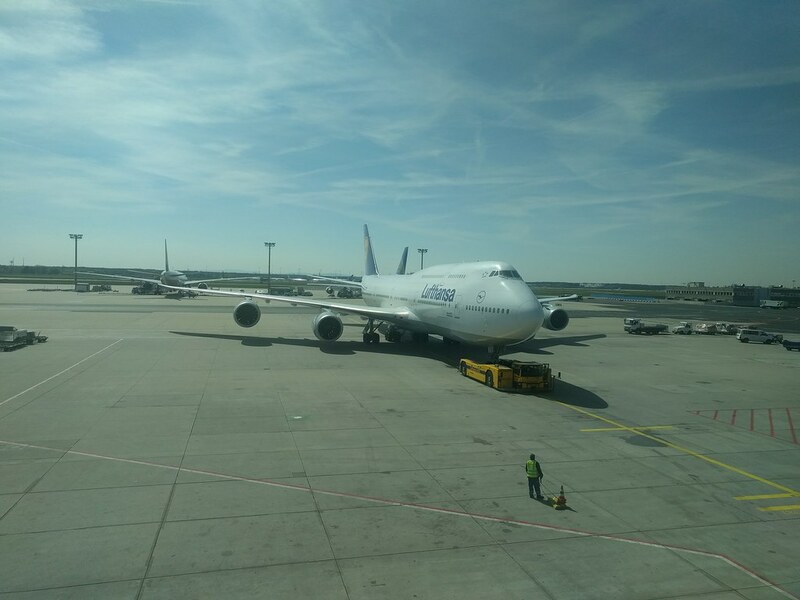 Welcome to part 2 of my trip report! 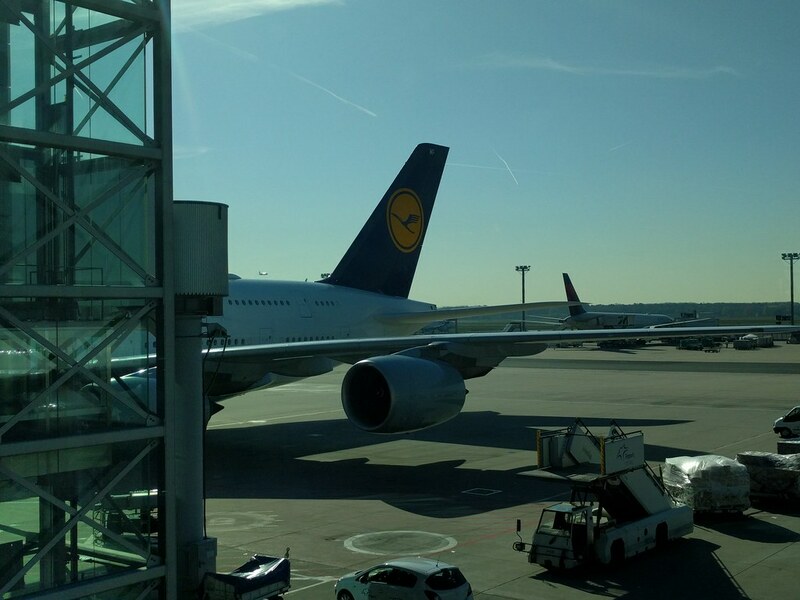 This segment will cover an eight-hour layover in Frankfurt Airport and the journey to my final destination, Bangalore. 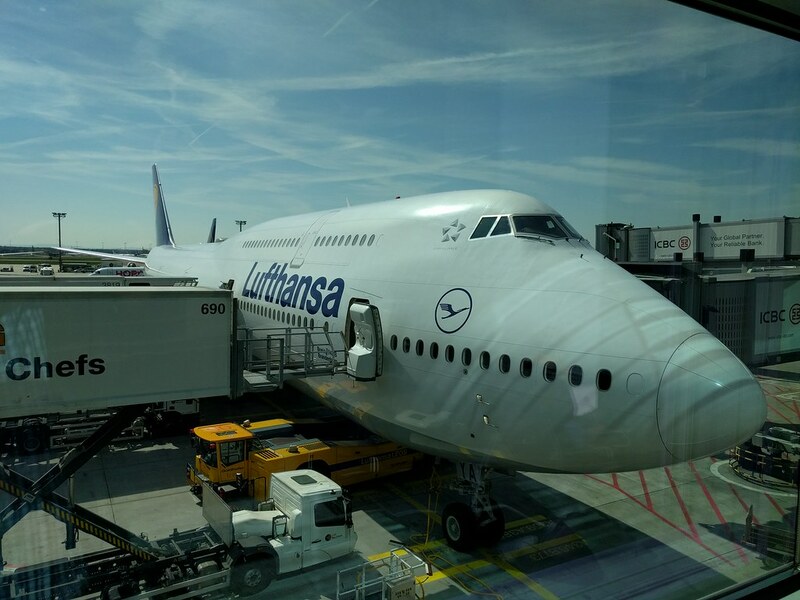 I had just disembarked from LH443 after a 7 hour 35-minute ride from Detroit. 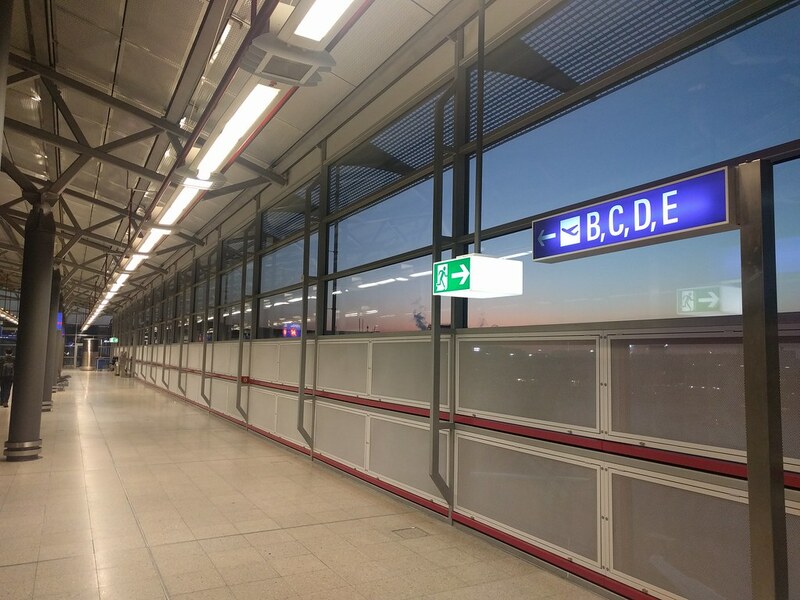 With no plans in mind on how to spend the next 8 hours at hand (except for Spotting of course and hopefully some sleep), I followed the airport signage that would lead me to Concourse C. The transit, all of 45 minutes, was covered part by the airport train and part by foot. 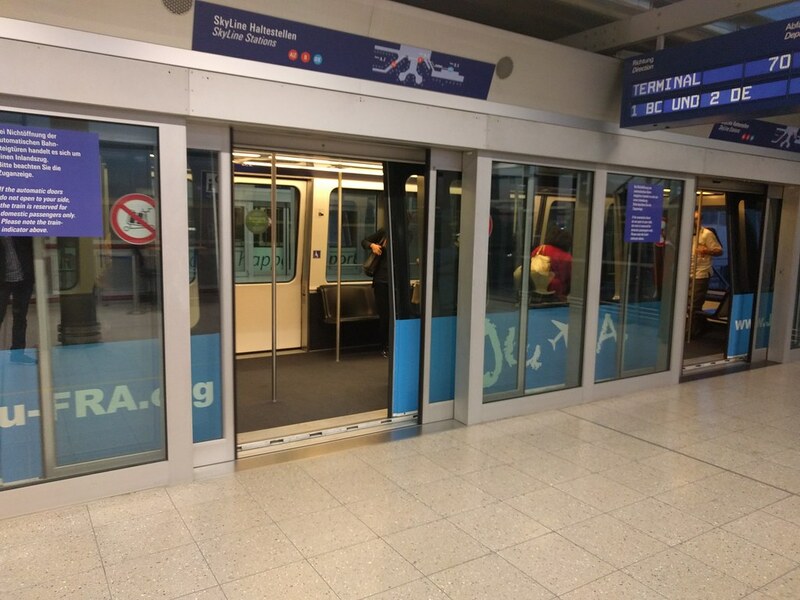 The walk in the terminal brought back some memories of my previous transit experience at FRA, I had an hour to complete my transit from Concourse B to Concourse Z and made it just in the nick of time. 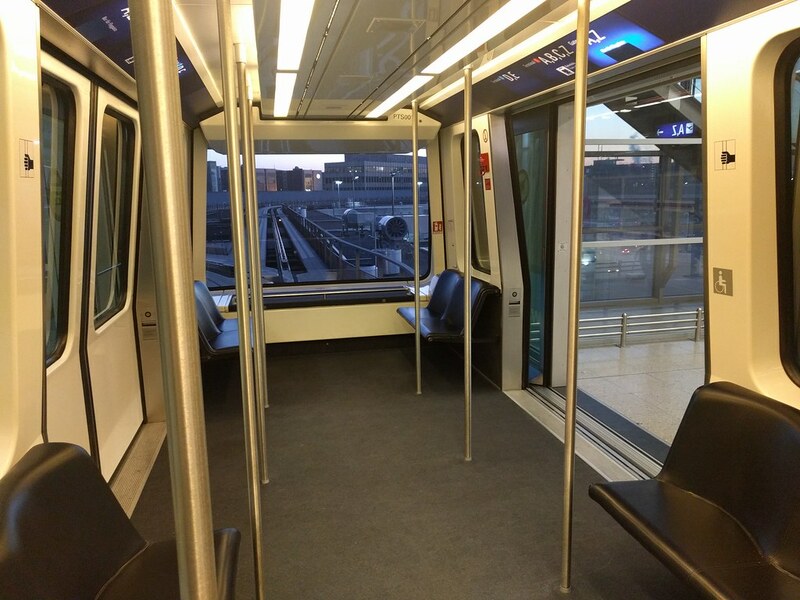 This time around the experience would be much better; the airport was much emptier, and I had all the time to take in the sights around me. I reached Concourse C after a quick passport and security check. 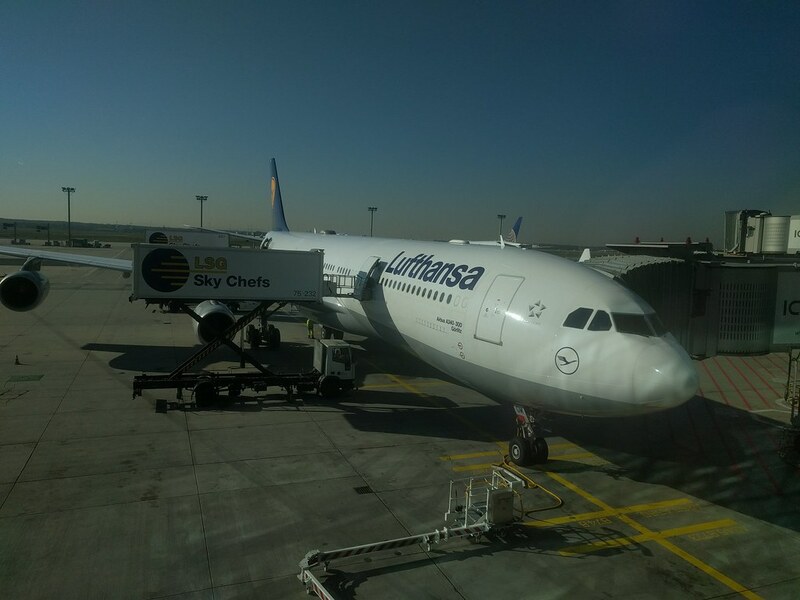 As I walked into the waiting area at Gate C14, I was greeted by a Lufthansa A330 (D-AIKH). The reflection of the morning light that this jet cast was a simply superb and calming sight to behold. Sadly, my phone camera didn't do a good job of capturing this. 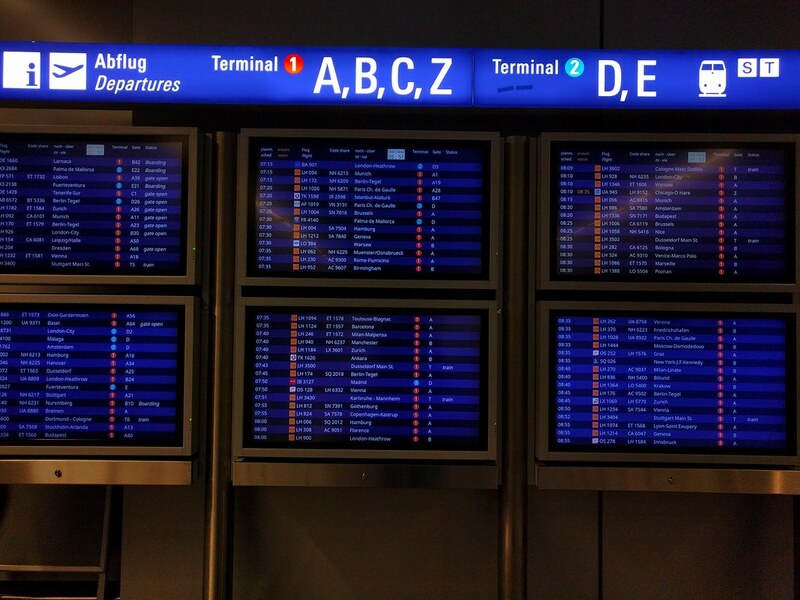 Soon, with the morning arrivals rolling in, FRA became the busy airport that I've always known it to be. I was pretty hungry, thirsty and dehydrated by now as my burning lips suggested. I bought myself a butter croissant and a bottle of water from a store at Gate C14. I decided to explore the duty-free stores, which were open by now. A visit to the washroom to refresh myself was also due. 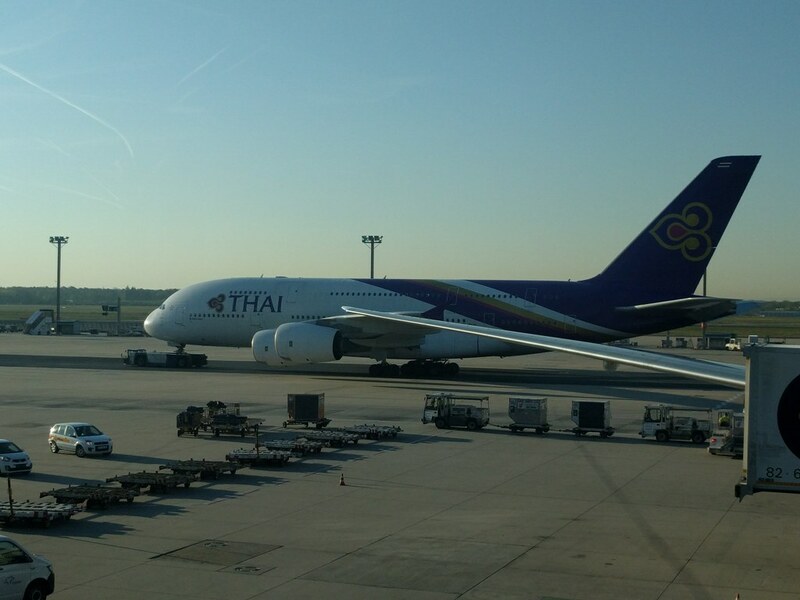 With morning duties done, I made a quick tour of the duty-free stores and then returned to Gate C14 to find D-AIKH being towed away. 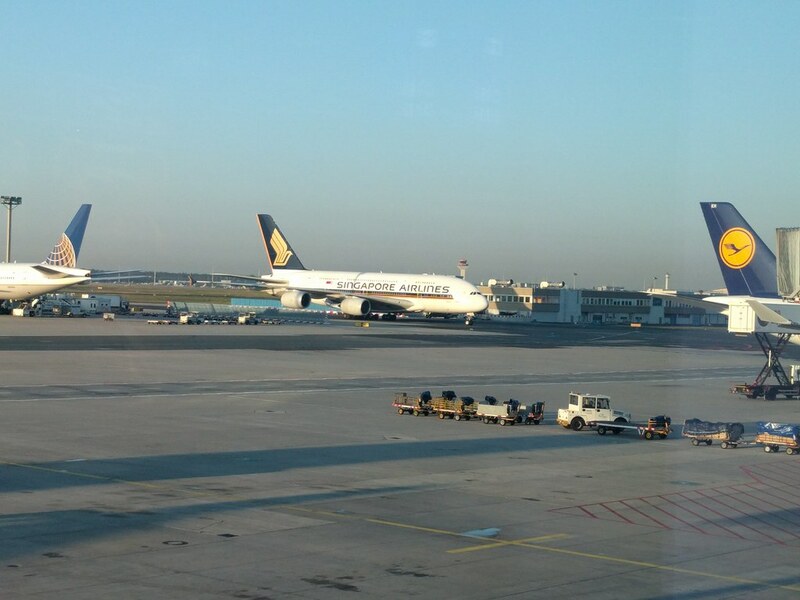 A while later, an A380-800 was towed into gate C14. 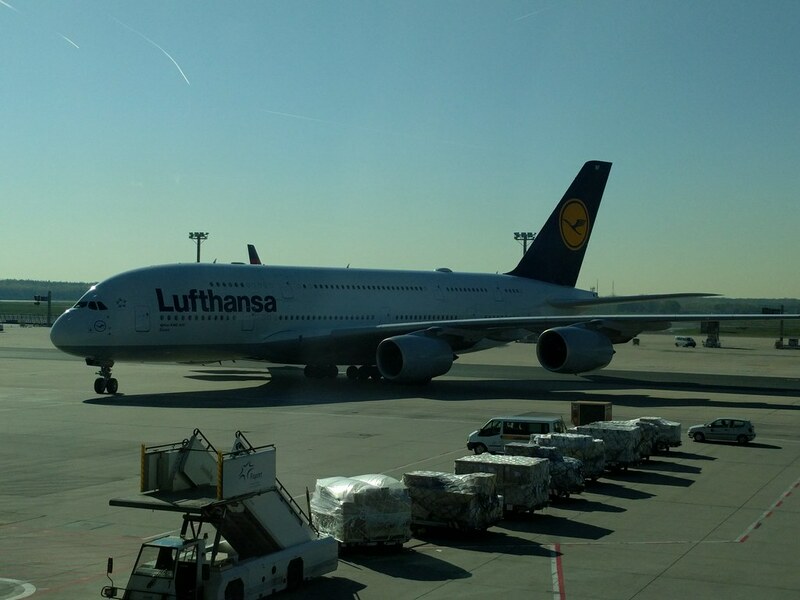 This Lufthansa super jumbo was to operate the Frankfurt - New York route as LH400. 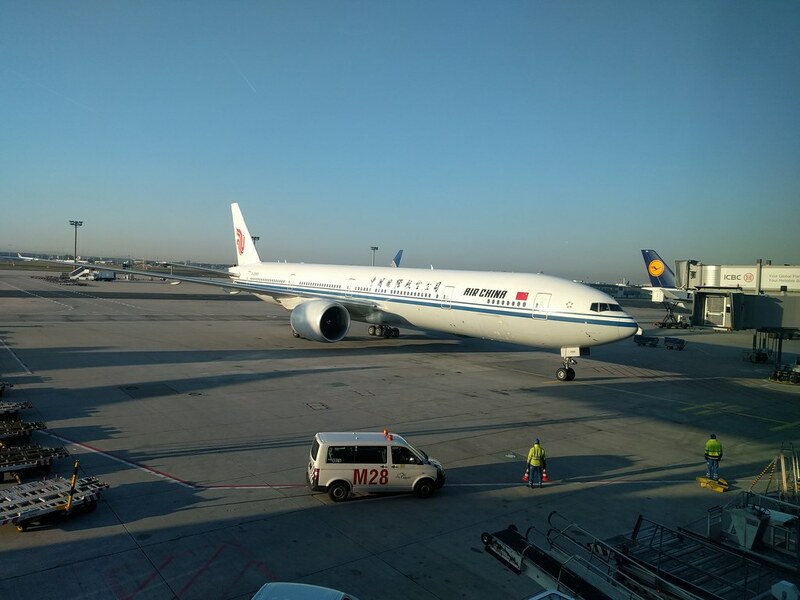 The Air China in the neighboring Gate C15 was then replaced by a Lufthansa Airbus 340-300 that would fly the Frankfurt - Chennai route as LH758. 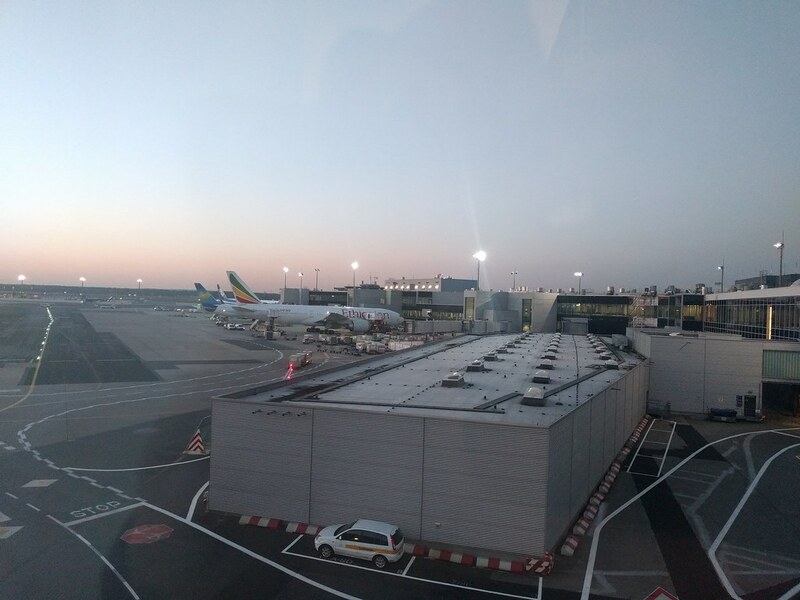 Once boarding for LH400 was complete, the waiting area at gates C14, C15 and C16 looked as though a small part of India had been temporarily shifted there. 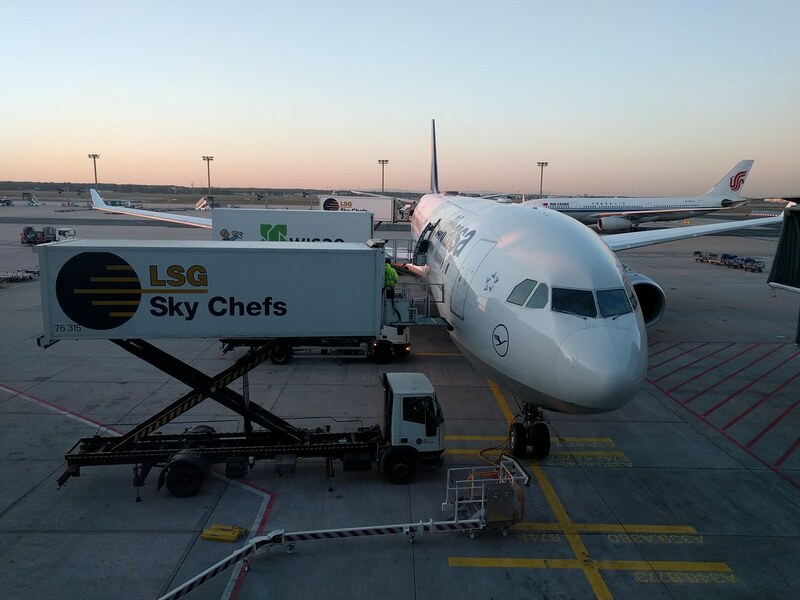 Lufthansa operates flights to Bangalore (LH754), Mumbai (LH756), Chennai (LH758) and Delhi (LH760) and Pune (LH768) from Gates C14 to C17, with the flight to Chennai departing ahead of the rest of the bank (STD 10:50 CEST). Most passengers were waiting to board their flight to home after coming into FRA from other parts of the world (mostly The United States and Canada) The boarding process for the flights to Chennai and New York (STD: 11:00 CEST) was nearly complete when LH463 from Miami (an hour and 15 minutes late) turned into Gate C16. 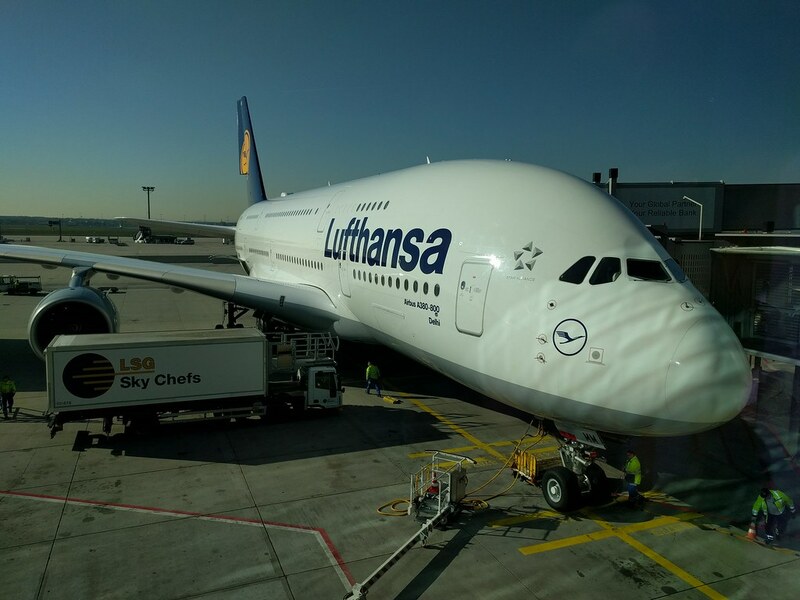 This aircraft would fly to Delhi as LH760. 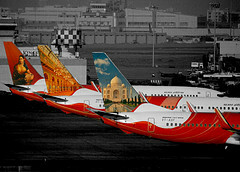 Once the flights to Chennai and New York had departed, D-ABTK (Boeing 747-400 to Mumbai) and D-ABYA (Boeing 747-8 to Bangalore) were towed in. Once the jet was towed in, I quickly packed away my laptop and decided to charge my phone; clicking pictures and messaging my family at home had eaten away most of the battery power. It was rather difficult to find a port to charge my phone. There were very few ports that actually worked, and the ones that did were already in use. 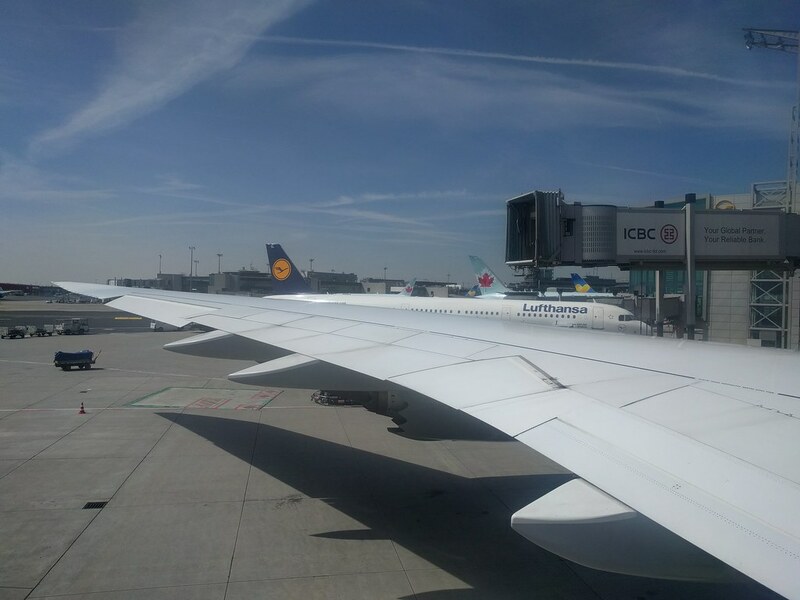 Boarding for LH754 was announced at 12:45 CEST. 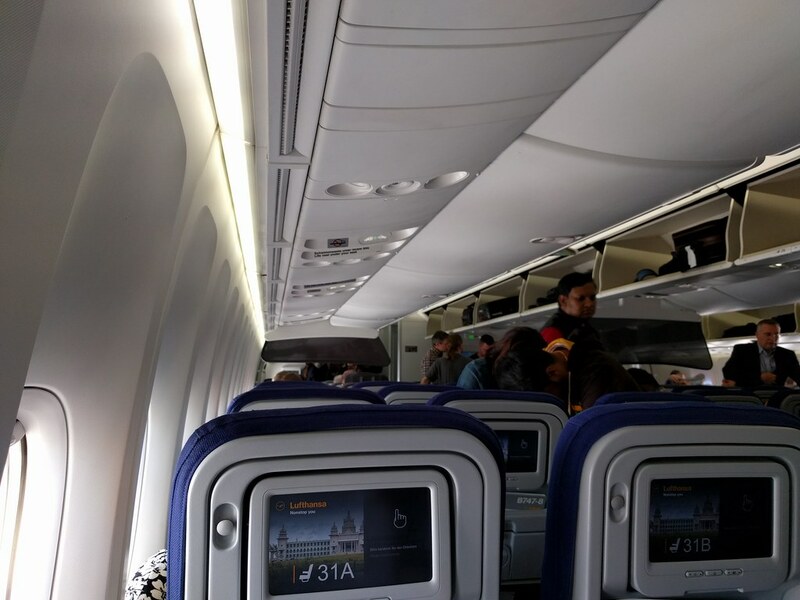 Lufthansa didn't announce the boarding the way I expected them to, (First, Business Class and Star Alliance Gold Folk followed by Economy), or maybe I wasn't paying attention. 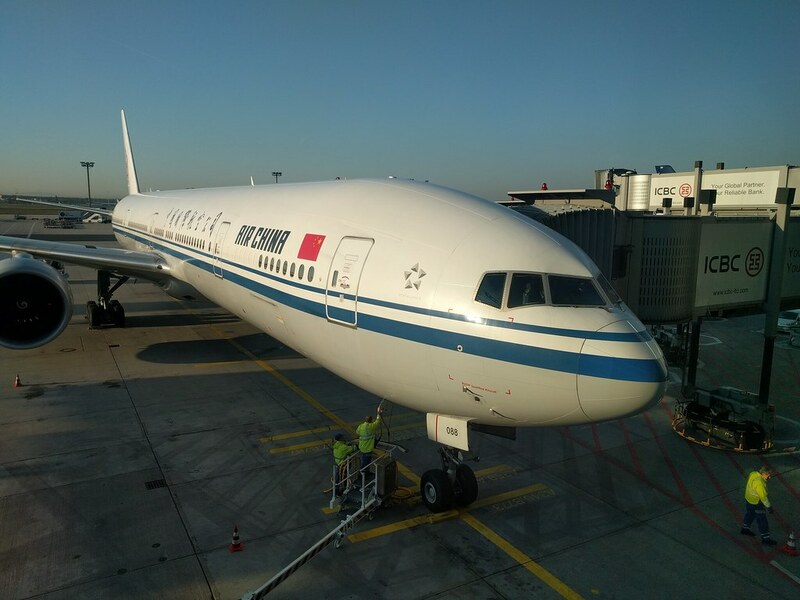 All economy class passengers were invited to board at 12:45 CEST. 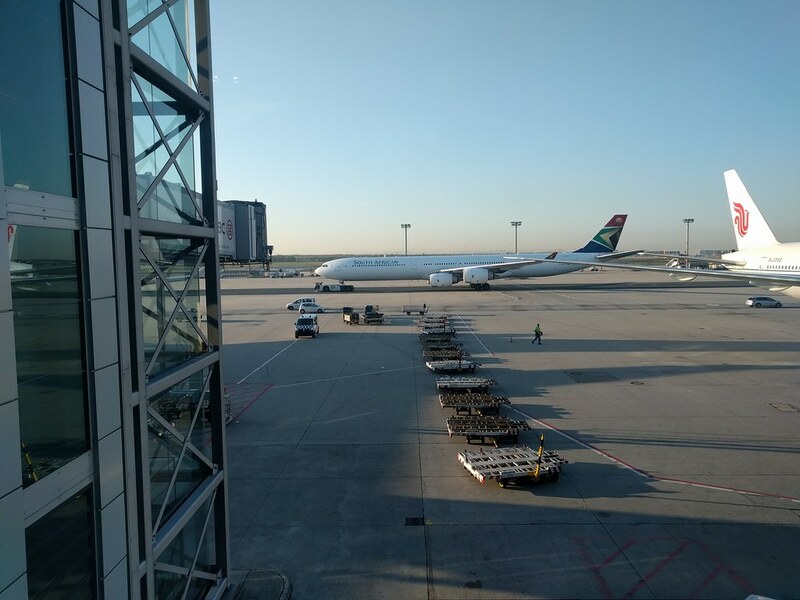 I assumed that the First, Business Class and Star Alliance Gold Members would board through the lounge one level above the boarding gate. Boarding was completed pretty quickly. The captain introduced himself, the first officer and the flight attendants before briefing the passengers on the flight. 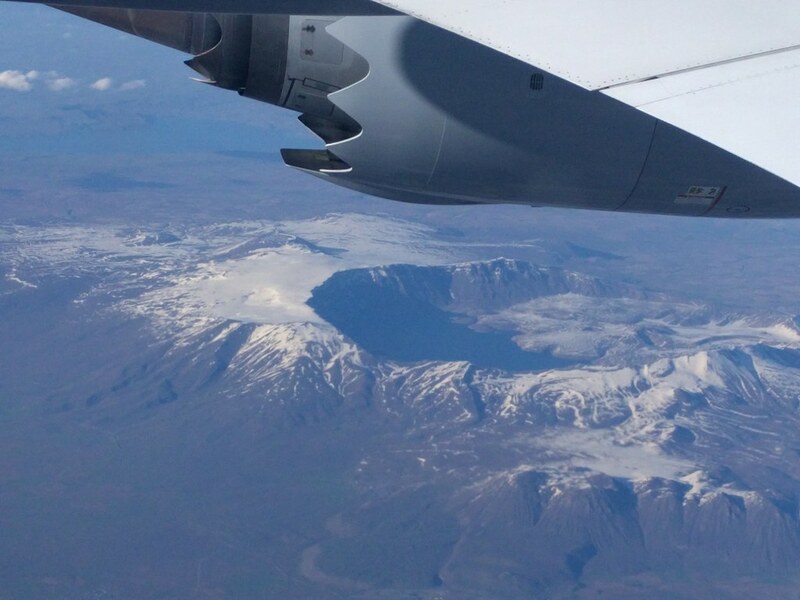 A flying time of around 8 hours was expected and the weather was going to be pretty good. 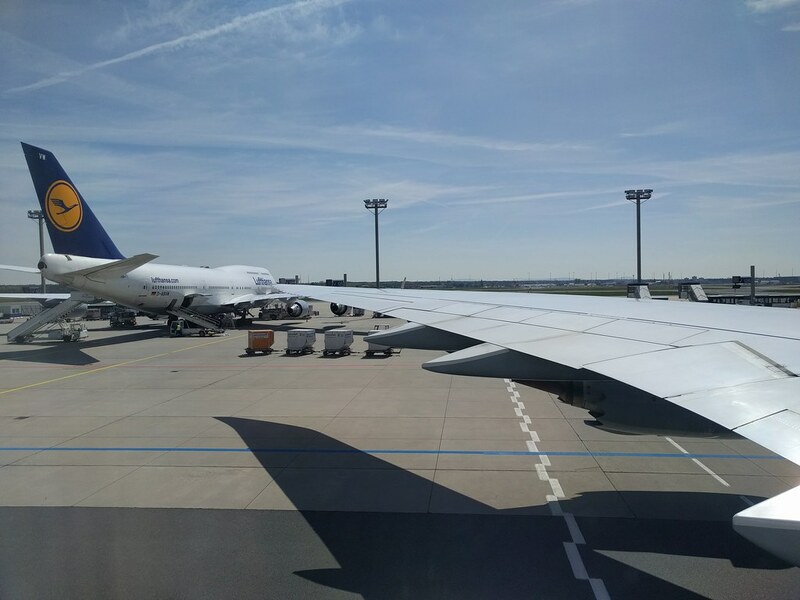 Pushback happened shortly and we began our taxi towards the runway after firing up the 4 GEnx-2B67 engines. There were quite a few departures from Runway 25C that morning, but the A340-300 to Chennai wasn't one amongst them. 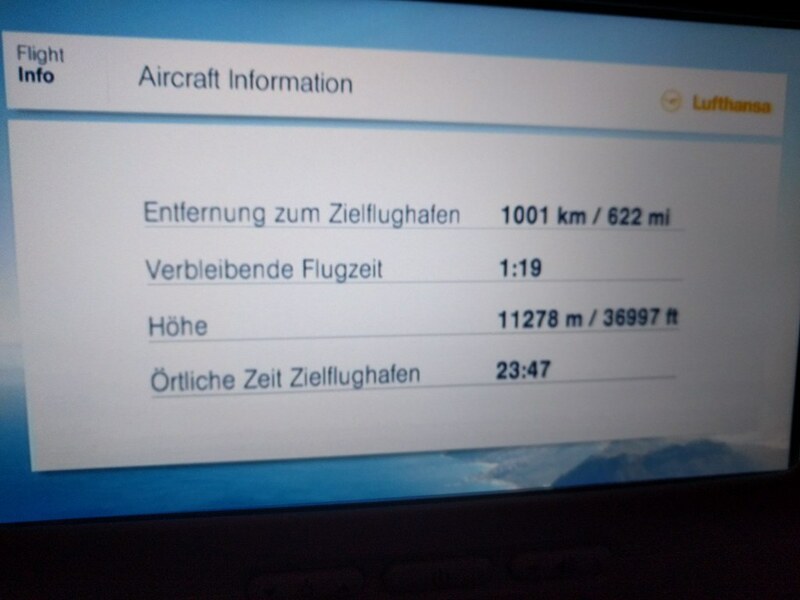 I assumed that we would be using Runway 18 for departure this afternoon. It turned out that my hunch was correct. 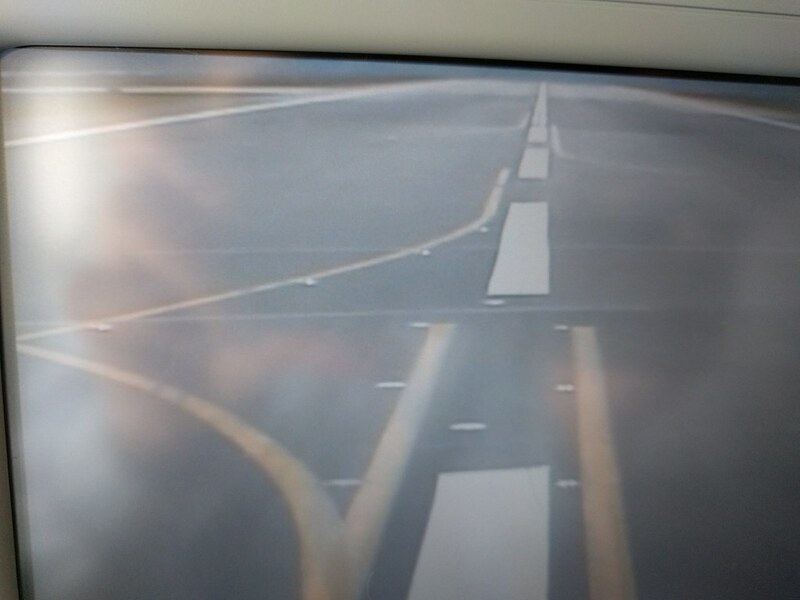 We turned right on to the taxiway (a left turn would lead to a 25C departure). 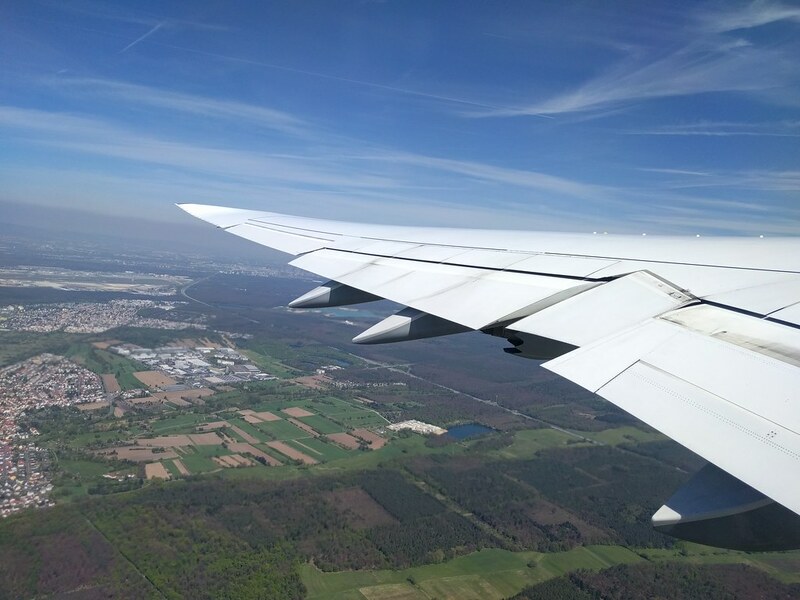 We taxied parallel to Runway 25C/07C and past concourses A, B and Z. 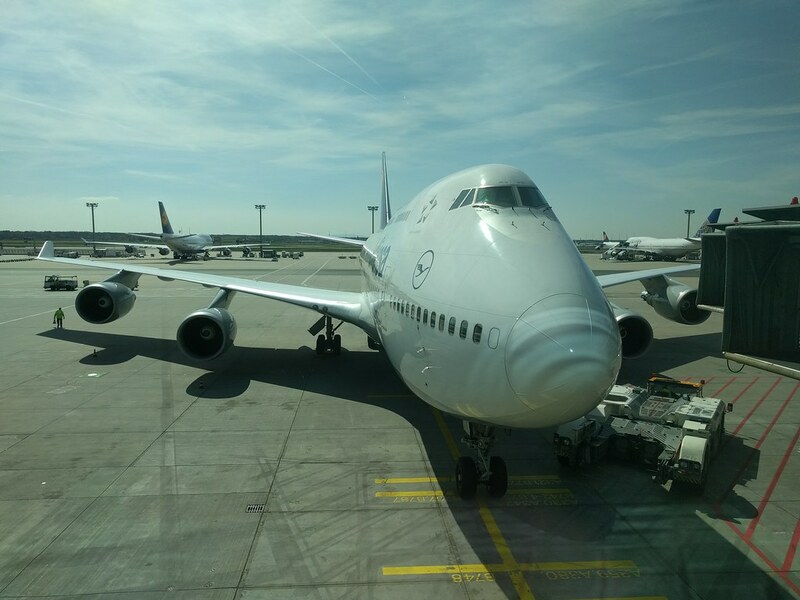 We held short of Runway 18, to wait for a departing LH B748. Once she was airborne, we lined up and prepared for take-off. The 4 engines were then spooled up to maximum power for take-off and we bounced along the runway (this was probably the bumpiest take-off roll I have ever experienced) before taking to the skies. 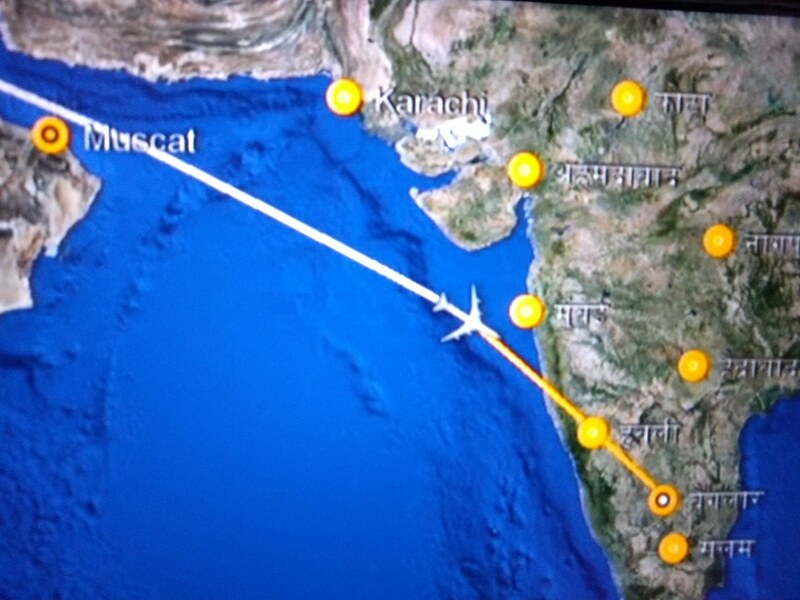 If I remember right, we turned left after take-off and set a south-easterly course to Bangalore, that would take us over the Czech Republic, Slovakia, Hungary, Romania, the Black Sea, Turkey, Iran, the Persian Gulf, the Arabian Sea and the Konkan Coast before landing in the Garden City. 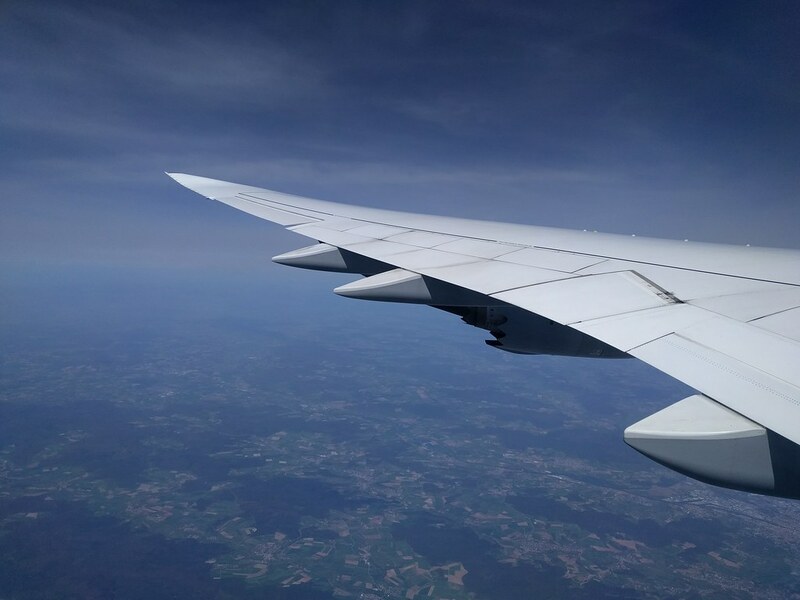 Once we settled at our cruising altitude, the push cart from the galley made its way along the cabin, carrying a roasted almond snack with beverages. 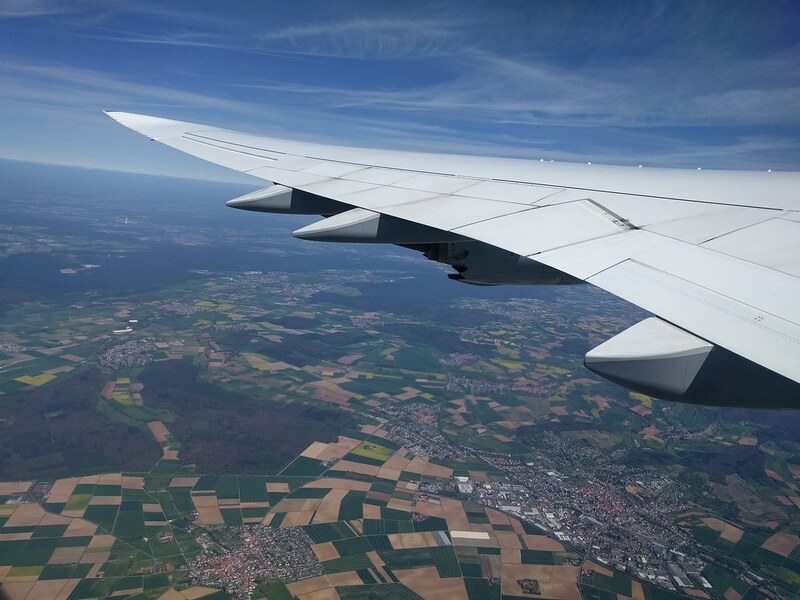 I was sleepy after the 8-hour layover and drifted off to sleep for while, aided by the hum of the engines and the sight of the lush green country side below and woke up just before the lunch service. 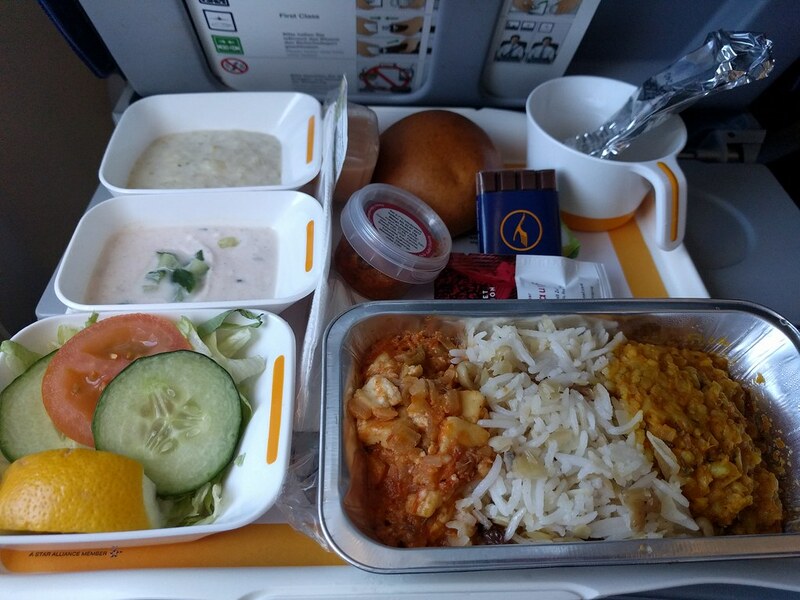 Very surprisingly Lufthansa had only Vegetarian Meals (at least for Passengers on Economy). Fortunately, this wasn't too bad for me, I had pre-ordered the Asian Vegetarian Option when I booked tickets. Lunch consisted of Salad, a warm bread roll with butter, Paneer (Indian Tofu) and Tomato Curry, Dal (Lentils), Rice, Raita (salted and flavored yogurt), an Indian Sweet (Vermicelli Pudding/Payasam) and a Chocolate Bar with Tea/Coffee. Lunch was excellent, though the coffee that I chose to wash it down with was a bit too strong for my liking. 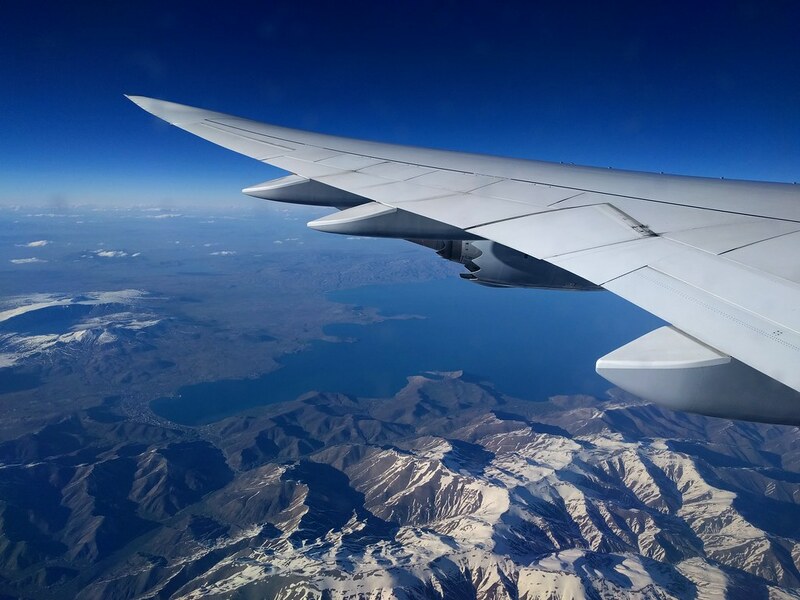 Being immune to the effects of caffeine, I slept for a while after lunch and woke up to some stunning views flying over The Zagros Mountains (Iran) followed by a calming sunset just as we were about to enter the Persian Gulf. 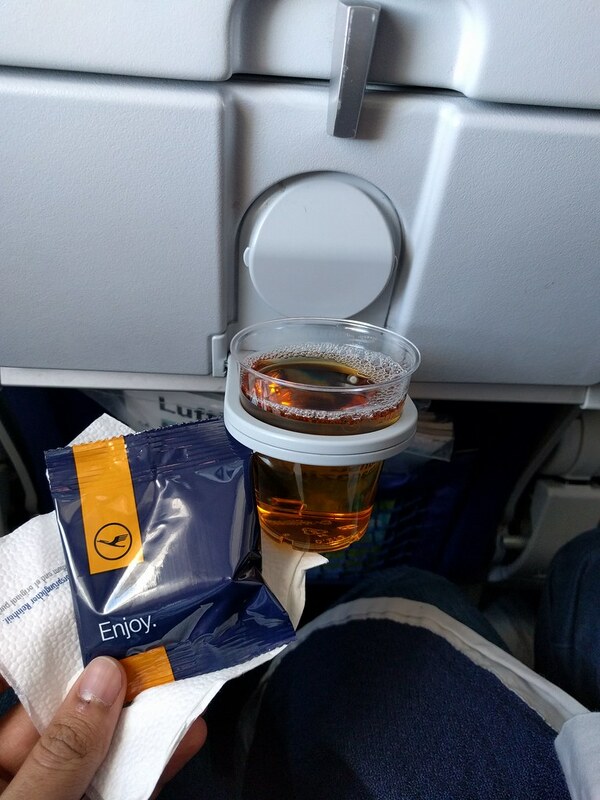 As in the previous flights, the cabin crew did a wonderful job of looking after passengers on this flight. Water and beverages were handed out every now and then to those passengers who were awake. 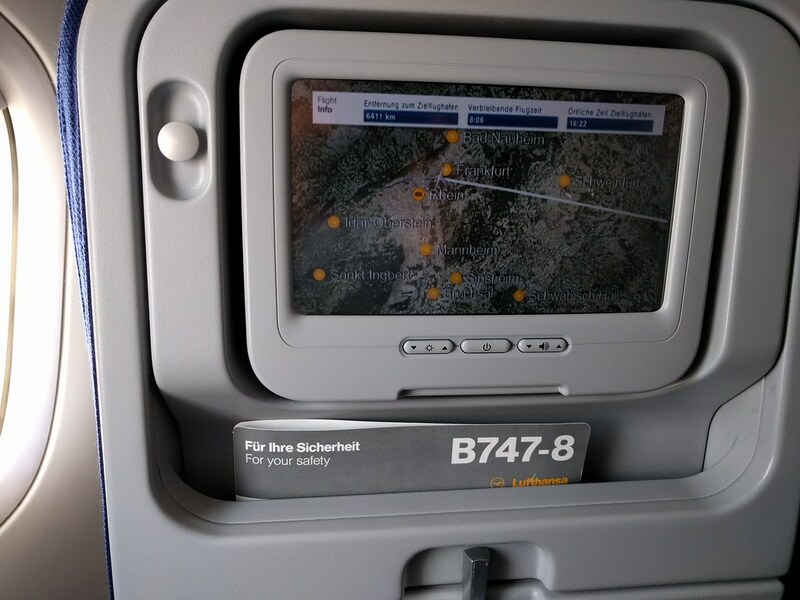 The IFE choices onboard were good, without being too exciting. I watched "M S Dhoni: The Untold Story" for a bit before switching over to some Lufthansa documentaries in the "Lufthansa World" section. 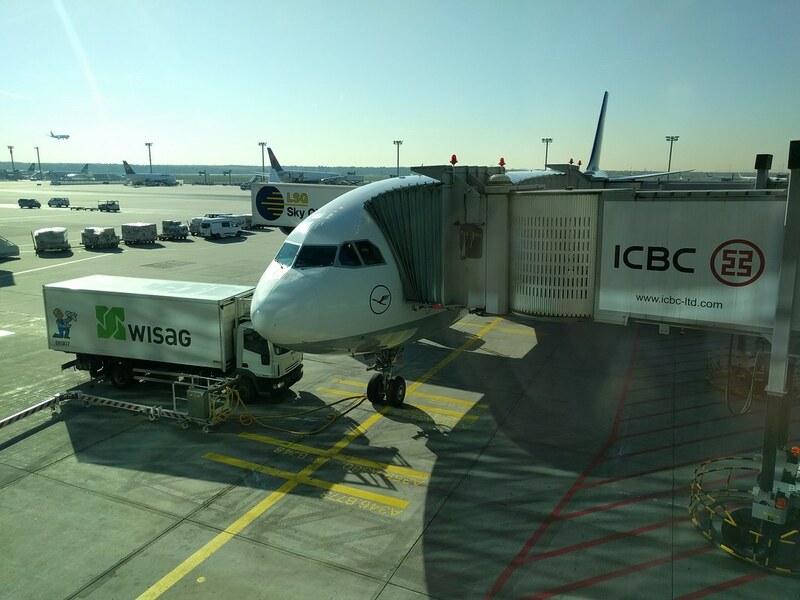 It was pretty interesting to hear about Lufthansa's Flight Operations Center in FRA in particular. 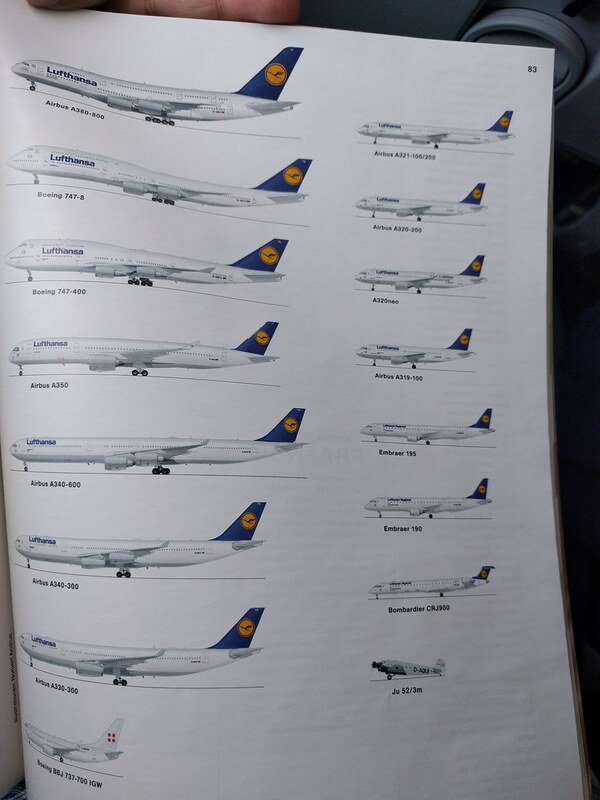 Also featuring on the list of documentaries was D-ABYT, Lufthansa's Boeing 747-8 painted in the "retro" livery, celebrating 60 years of "post-war" Lufthansa. Dinner was served 45 minutes prior to arrival. In all my excitement about flying home, I totally missed out on getting a snap of my dinner. Dinner consisted of a hot vegetable roll with tomato ketchup packaged in a snack box and a beverage of choice. It tasted excellent. The Captain then came on the PA system to announce that the descent into Bangalore had been initiated. The weather was pleasant, with light winds and a few clouds. 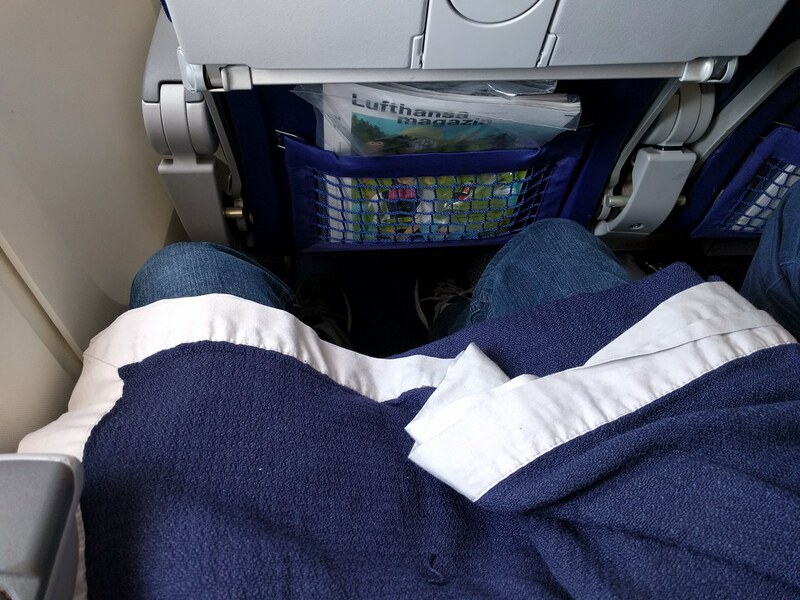 Warm towels and Indian Immigration forms were handed out after the tray tables were cleared. 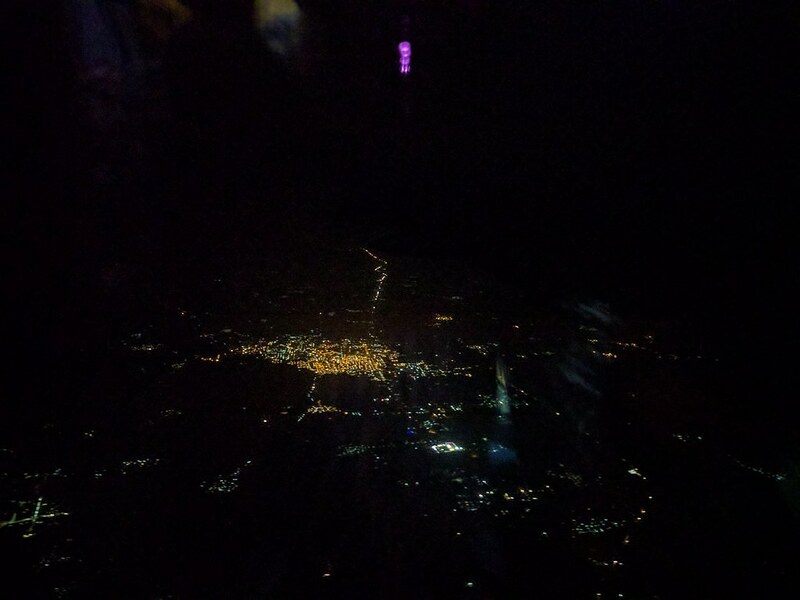 The lights of Bangalore were soon visible, as we descended first heading east followed by a wide right turn to line up with Runway 27. The touchdown was very smooth. We rolled past the Menzies Bobba Cargo Complex and then turned into the ramp, passing the domestic terminal, a Cathay Dragon A330-300 before docking into Gate 25/26. 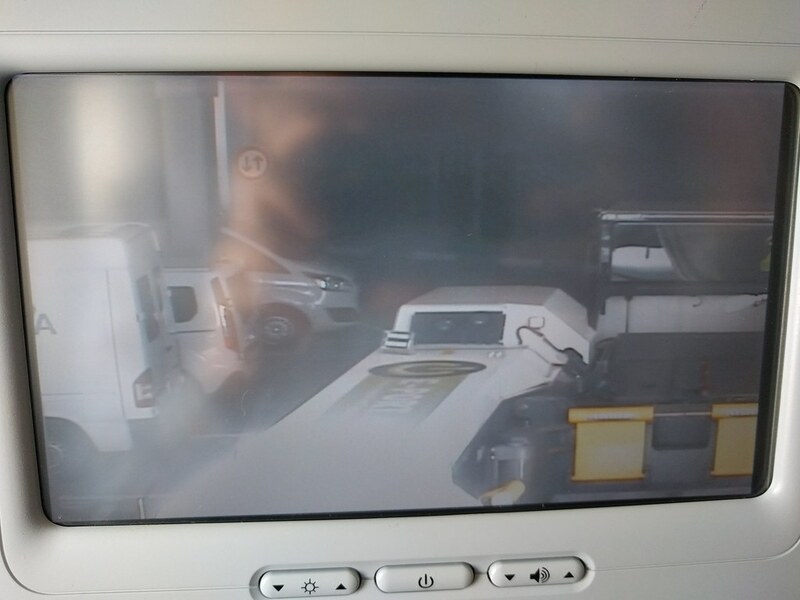 A "follow-me" car, which could be seen from the Front Camera, led the way to the Gate. 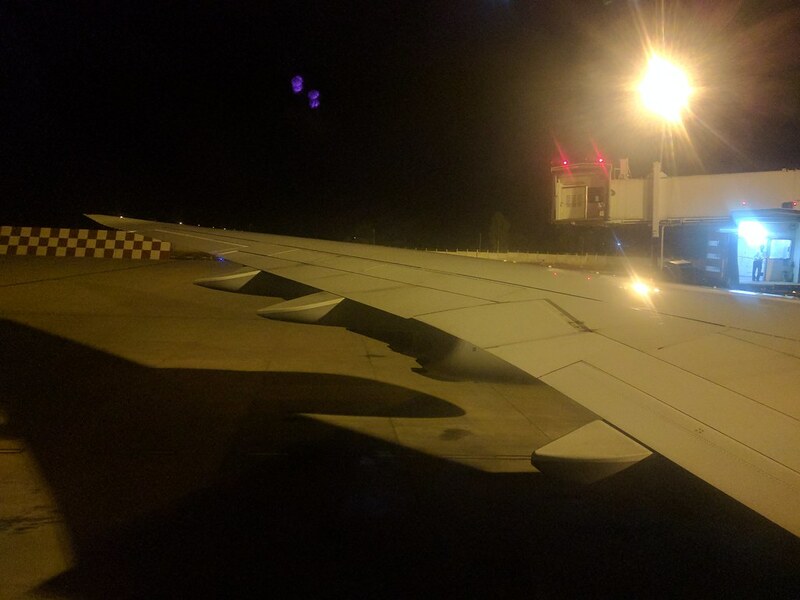 Once the engines were shut down and the seatbelt signs were turned off, I picked up my Bags, thanked the FAs for a wonderful flight and made my way out of D-ABYA into the noticeably warm Kempegowda International Airport Terminal. Immigration was very quick, and as is always the case at BLR (and some other airports in India), carry on luggage was screened after immigration. My bags took an abnormally long time to show up on the belt. The flight crew came and went by and soon enough, I found myself standing with a handful of passengers still waiting for their bags. Finally, my bags arrived accompanied by the "Last Bags" message displayed on the Screen. 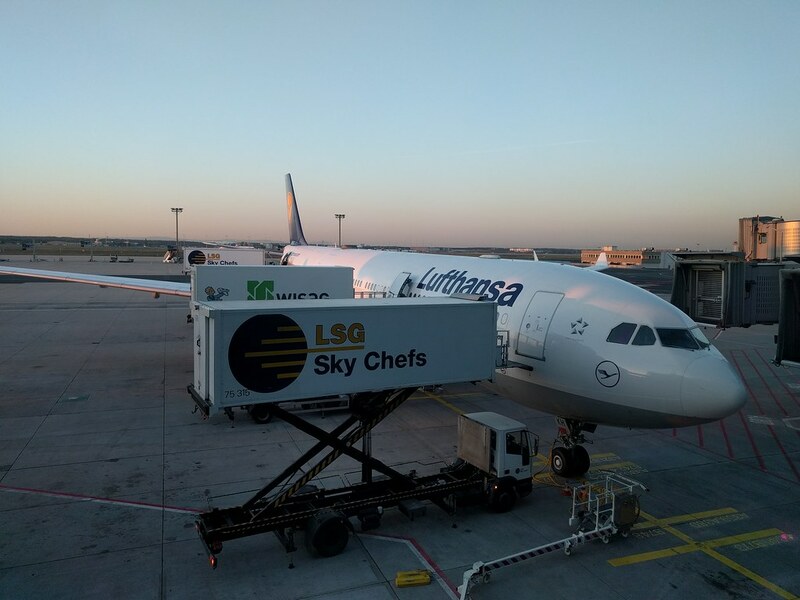 I walked past customs and out of the terminal, and that marked the end of a wonderful journey on LH. This is my second TR here. I've always enjoyed reading these in the past and quietly hoped to make a contribution someday. Any feedback and suggestions are most welcome! 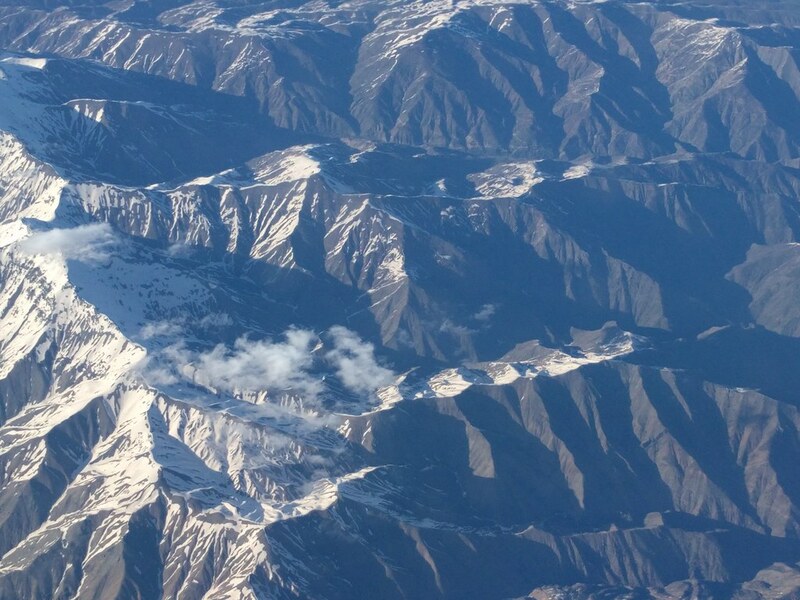 Wonderful TR, thanks for sharing and welcome to the forum. I wonder when LH will upgrade BOM to the 748? 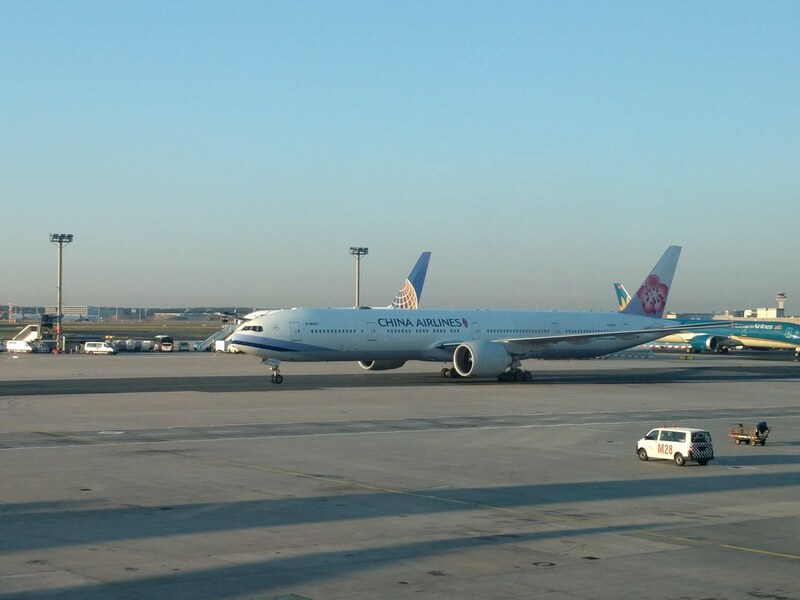 They still send their (increasingly tired) 744s there. 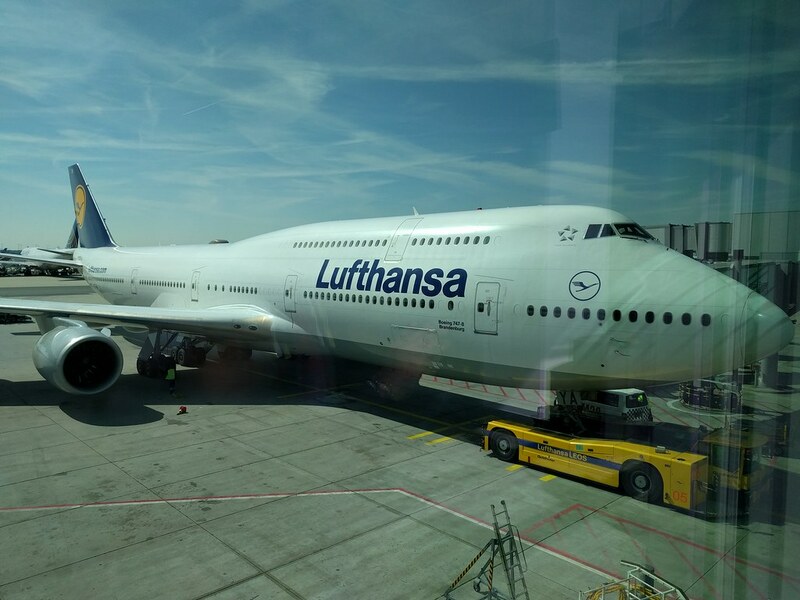 wonder when LH will upgrade BOM to the 748? 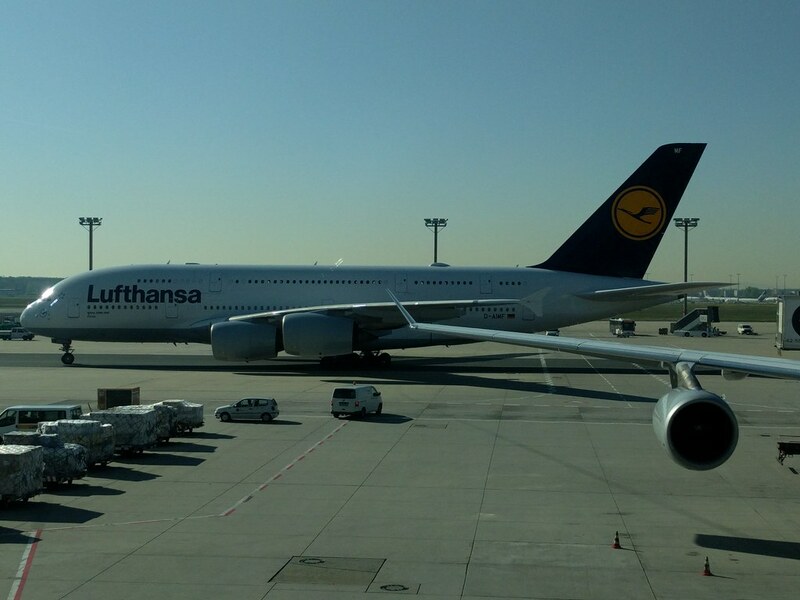 They still send their (increasingly tired) 744s there. If I remember right there were plans to fly the 748 in July 2014. But I guess some parking bay issues got in the way. But yes, much needed upgrade. 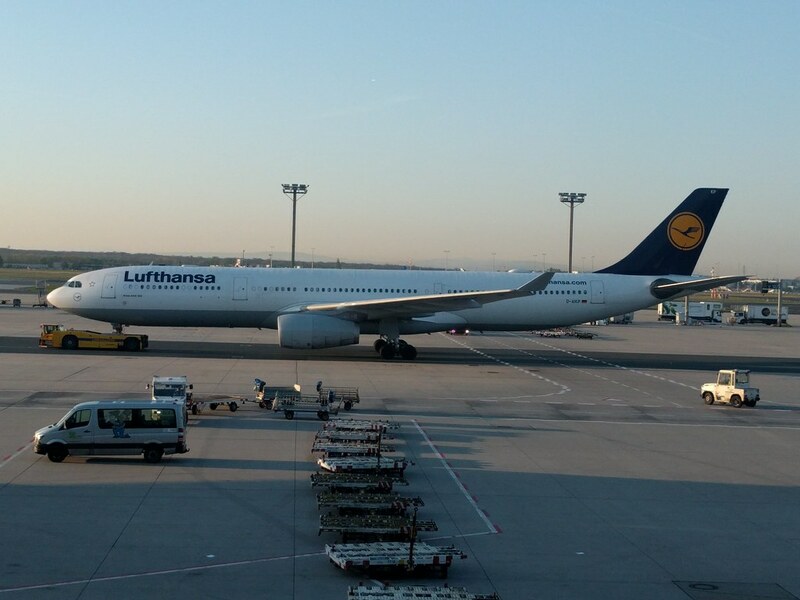 It's great that they are flying the A350 from MUC though. Ananth: thanks for a lovely part 2! I loved your pictures and descriptions of the FRA transit. 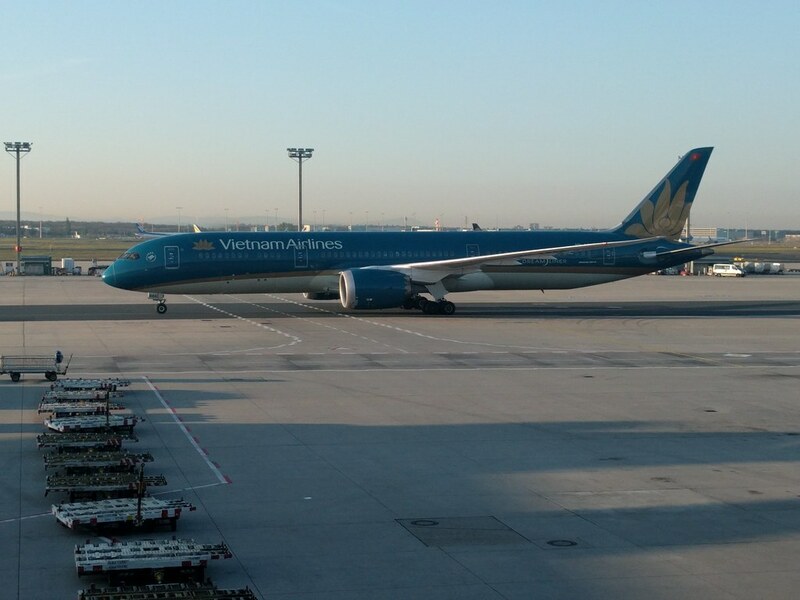 The wide-body pictures were amazing, more so, the Vietnam Airlines B789 in the morning light. Powerports at FRA: a pet peeve, and this is something that has never really improved even with time. 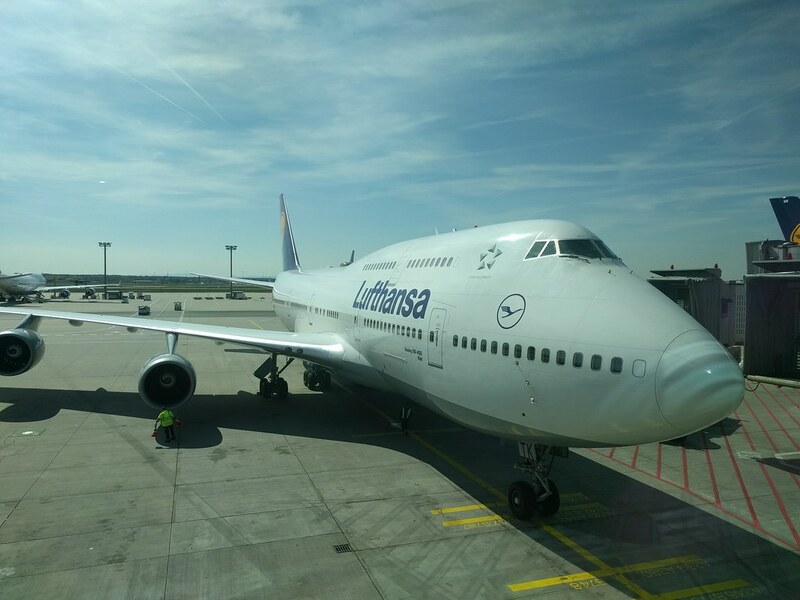 It is nice that you got to experience a B748: this has been on my TODO list for quite a while. 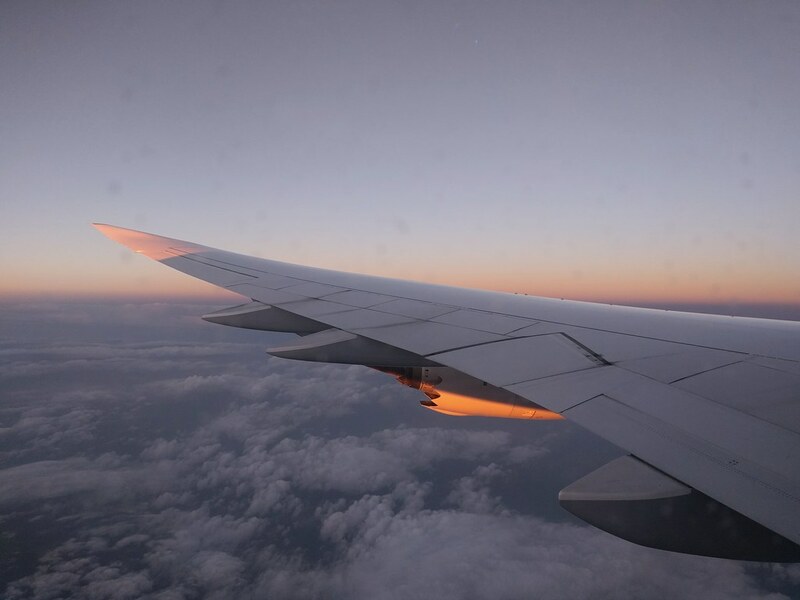 Nice AVML and lovely pics in the air! Your description of `dinner' does not sound too nice (read, filling), and spekas of the usual LH cringiness on quantity. At least, the taste was nice! I look forward to more from you! Thank you Sumantra Sir. The transit was long, but was worth the while given that I had a great time plane spotting. I almost packed a battery bank with me, but decided against it as I expected plug-in charging points at FRA. They need to do some work on those. It is a wonderful jet Sir! Probably one of my favourites, after the B777. 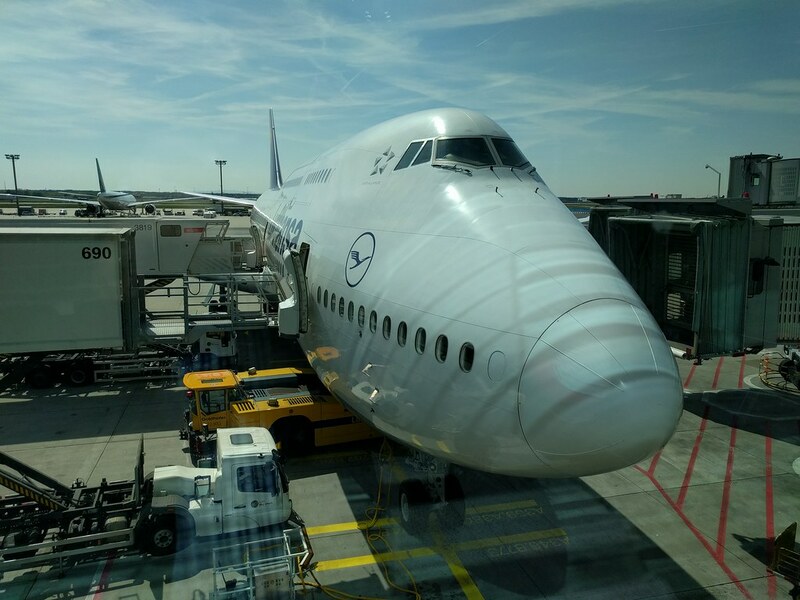 Truly the queen of the skies. I hope you get to travel on one really soon! Absolutely right Sir. It would be great for them to offer more. 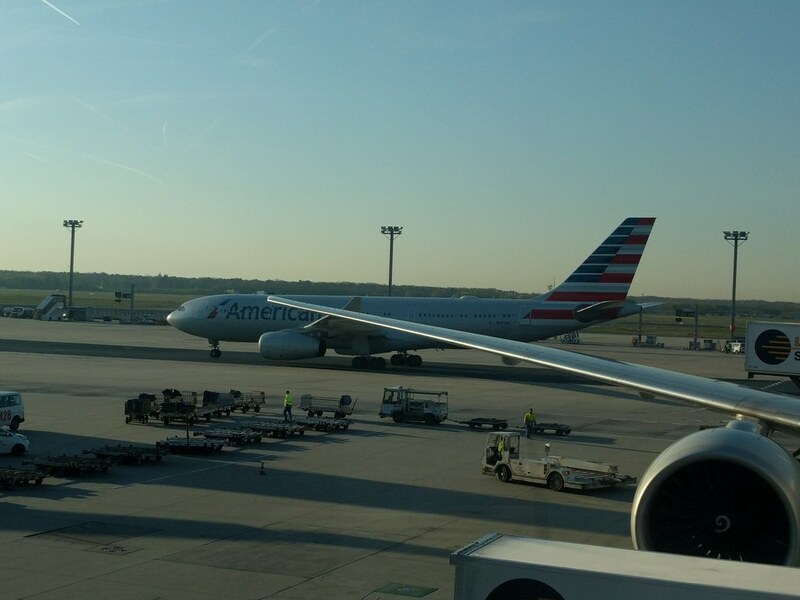 - I remember my last departure from FRA was the bumpiest runway I had been on hehehehe I don’t remember which one tho. Must have been 18. - dinner seemed a bit of a letdown. Sounds like the same ‘meal’ they give on departure from BLR. Yes, the dinner was the same as the departure meal. The simple departure snack makes sense to me, most passengers just sleep and would've probably eaten prior to departure.